Holiday Gift Ideas for Kids for 2018! 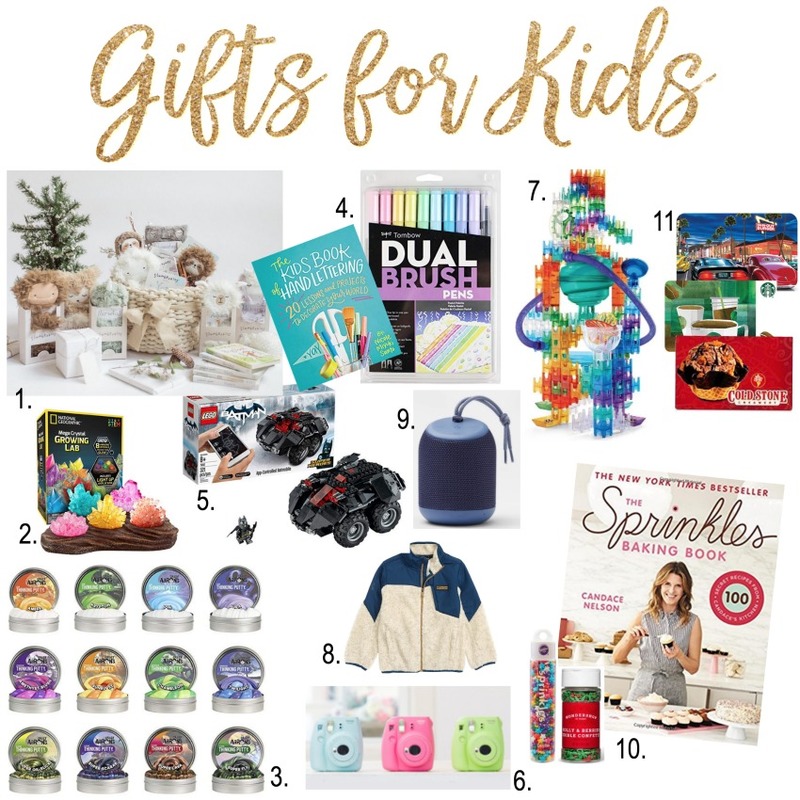 Fun and unique ideas for gifts that the kids will love! For the second holiday gift guide, I wanted to put together some ideas for the kids. I don’t actually buy my children a lot of toys- year after year the toys wind up in the bottom of the closet or cluttering up the bedroom and I feel like I totally wasted my money. 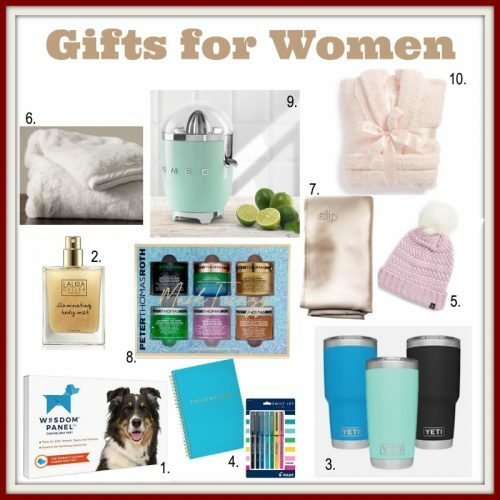 I tried to put together interesting gift ideas for boys and girls that won’t wind up in a donation bag. 1. Slumberkins. I always have to include a stuffed animal but not just any stuffed animal. I absolutely LOVE the concept behind these slumberkins plush. There are different animals that represent a specific emotion or issue a child might be dealing with. The idea is to interact with your child (snuggle on the couch), connect by reading the affirmations associated with the plush and the book that goes with it, and reflect by going over the concepts in the book in everyday life. I can’t think of a child that wouldn’t benefit from something like this and here are a few issues the animals address: anxiety, coping with emotions, growth mindset, uniqueness, big changes, going to sleep. You can see more about each animal and the specific issue it addresses here and you can shop the collection plus pick up the books here. 2. National Geographic Growing Lab . My 9 year old loves rocks and science kits and crystals. This collection is really neat- you can grow crystals in 8 colors, there is a night light to make the crystals glow, includes a STEM resource book and it looks nice enough to keep out on a nightstand or dresser. 3. Crazy Aaron’s Thinking Putty . This stuff is amazing and comes in all sorts of colors. If you have a child that is into slime, this is sure to be a hit and comes in a neat little tin to take traveling or to restaurants and so on. Slime is great for building fine motor skills and for slowing down and creating more mindfulness. (Great article here on this idea) I ordered the magnetic putty for my girl’s stockings this year. 4. Kids Book of Hand Lettering by Nicole Miyuki Santo . For creative kids here is something a little different than the standard art kit or coloring books. This book has all sorts of fun ideas for children to gorgeous lettering and illustration techniques. Some fun pens would be a great addition- there is a selection of Tombow pens here . 5. Lego Remote Control Batman Car This looks really awesome for Lego fans. Build the batmobile and then control it with a smart device to do wheelies and 4 wheel drive. My daughter has grown a little tired of Legos lately but I think she would go nuts for this. 6. Instax Camera . This is on the list for my little girl. She doesn’t have a phone yet and loves the idea of being able to take pictures with these fun, instant photos. 7. Marble Run. These marble run games look so fun for little builders! This is the kind of thing I would never think to buy for my kids but that they would absolutely spend hours playing with. You can see smaller options here that are more budget friendly . 8. Sherpa Jackets. I know clothing isn’t a big deal for kids for Christmas but I usually wind up getting them a few things. A Treasure & Bond beanie for my big girl so far and one of these cozy sherpa jackets too. 9. Portable Bluetooth Speaker. For older kids, a bluetooth speaker might be a fun gift to take music anywhere and everywhere. My 11 year old has girls on her soccer team that bring speakers for warm ups and they use them in softball between innings to pump up the players. 10. Sprinkles cookbook . For children that like to cook or to bake, a cookbook is perfect. My little girl loves to bake so I picked up this cookbook and added some fun gourmet sprinkles packages to the box. She is going to love making these cupcakes. 11. Gift Cards . I know this is super obviously- especially for older kids but gift cards make such great stocking stuffers. I get smaller increment gift cards to the places my children regularly beg to go- In and Out Burger or Cheesecake Factory for one and Starbucks for the other. What items are you picking up this year for the kids? I’d love to see what Santa is bringing to your house. In case you missed it, A Holiday Gift Guide for Women is here.